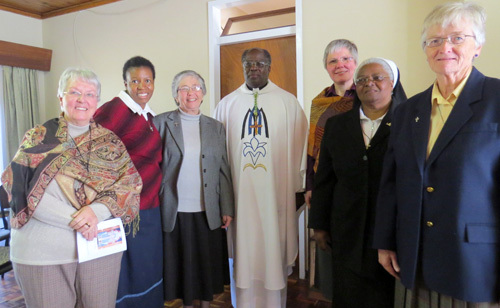 The Oakford Dominican Sisters have opened a new mission house in Bloemfontein, South Africa. Four sisters will comprise the new international community there: Sister Bernadette Zulu (South Africa – Zulu), Sister Pru Cooper (England), Sister Anna-Lucia Wannemacher (Germany), and Sister Eva-Maria Thupatsogong (South Africa – Tswana). The purpose of the ministry is to expand chaplaincy services at a local provincial health and education center, and to develop a student center for faith formation and leadership development.